We mentioned a World Map clock last week that we liked due to it’s regular round clock with hands look. For many of us, that look is easiest to glance at and get the time over digital numbered clock paces. A chat in a meeting this week, we found that the preference for clock face types is really all over board. Here is a few of the ones mentioned in no particular order. They are all on the inexpensive or free side of the app price scale. We wont go into alarm options as we have yet to find one that will work when the app isn’t running… with OS4 this feature should be possible since the clock could be running in the background. 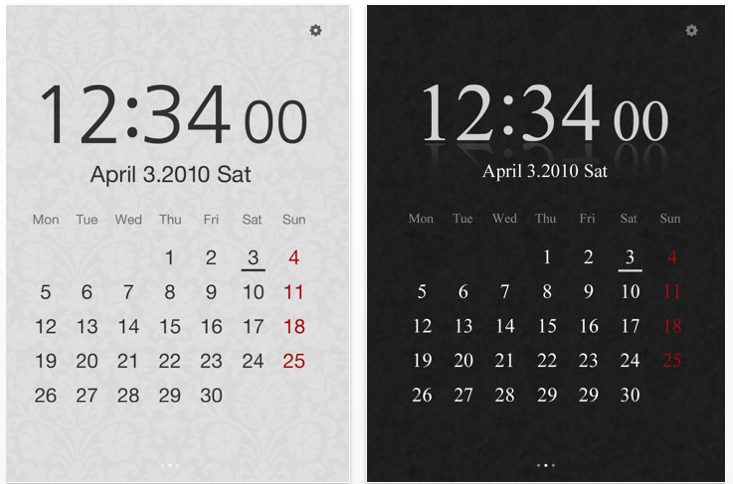 Wall Clock is a simple, full screen clock that resembles the regular clock on the wall. You can have it tick if you like, as well have a second hand sweeping around. Also, you can show the date. That is about it… simple but all the info you need if your looking for the time is there. For the ‘digital’ LCD clock look… the LCD Clock HD app offered a nice selection of fonts for your numbers and a calendar since they naturally go together. 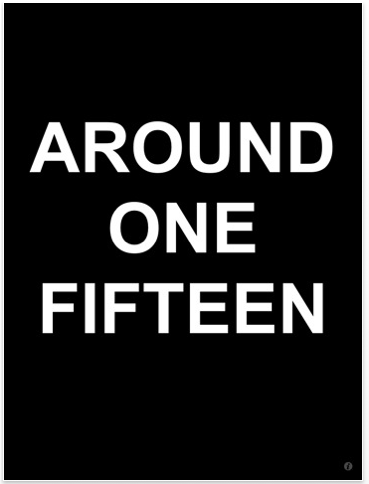 Background and number colors could be flipped for easier reading in high/low light situations. Before the LCD clocks, there were flip clocks. They are used in many popular movies where a minute flips by and the action starts. 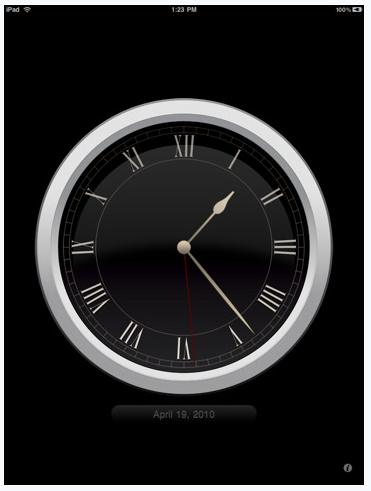 Well, maybe the action will start for your iPad as iFlipClock flips it’s flaps through time. 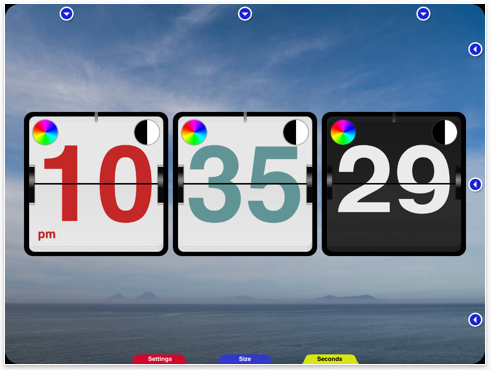 We thought a screen shot of the set up screen was good since this clock has so many options. Colored text, background of the numbers, background image, landscape or portrait, sound, bouncing flipper and you can turn off sleep. The last item seems to be missed by many clocks available so when the iPad sleeps your clock goes away on those! To wrap clocks up, we will shift away from numbers and use some logical text. Some, fuzzy logic text. 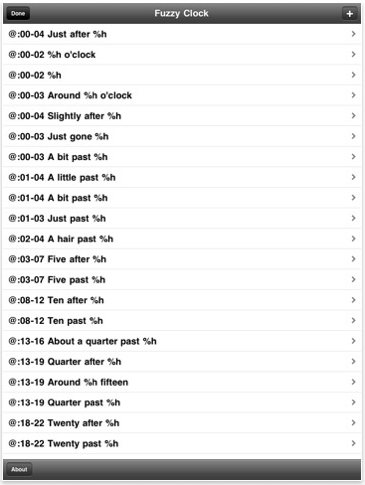 The Fuzzy Clock HD shows you the time in words just like we would say them. I know, a lot of us still say twelve thirty, while others say half past twelve. This isn’t a clock you will glance at like sweeping hands pointing at numbers or numbers flipping past… but it sure a lot of fun. Again, like others, it’s highly customizable. This version is the HD one specifically for the iPad.